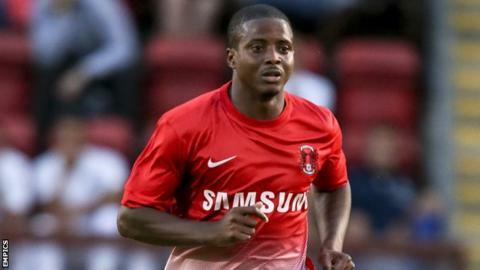 A Kevin Lisbie goal helped Leyton Orient continue their perfect start to the League One season at Stevenage. The Boro have not picked up a single point from three outings and were well beaten by Russell Slade's men. Lisbie headed home Moses Odubajo's cross to hand the visitors victory, while he also wasted a one-on-one. Peter Hartley's header rattled the crossbar and was cleared off the line by Romain Vincelot as Stevenage searched in vain for an equaliser. "It's a really great result for us again and it keeps the momentum going. "You have to have a certain mindset when you come to places like Stevenage, not just physically but also mentally and we showed all that. "In terms of creating chances we were the better team, but Graham Westley's team always make you battle. "We have a long way to go but the attitude and spirit of the camp is fantastic, but it's still early days."